Our friend and GLCC Member Paul Borror’s interview by AutoBlog has hit the airwaves! Congrats Paul!! When you drive one of these, you’re like a rockstar. People are always waving at you, giving you the thumbs up. People recognize them just like I did. They recognize them from the ’60s when they were super popular, and Carroll Shelby was racing them, and various movie stars had them. I mean, there’s songs about them. My name is Paul Borror. This is my Factory Five Mk4 Roadster Cobra Replica. I had always been interested in working on cars even though I am not really experienced at it, and I had tried some restorations before and it wasn’t something that I particularly enjoyed. So the idea of building a kit car, if you will, was something that seemed interesting. In looking around, this Factory Five seemed to be one of the big manufacturers that were out there, and the Cobra Replica is a car that I was very familiar with from my childhood. So, we looked around and actually found one that had been partially started by someone, so that was a good start for me as a beginner. We drove it for a couple of years. We really enjoyed driving it, but I also really missed the build part. I built another one, sold that one, and then I retired and got the urge to do another one. So this is it. Number three. It’s a replica of a 1965 427 S/C, of which there were, I think, around 300-and-some originals of this particular body style. This particular car was purchased from Factory Five in 2015, and it was roughly a year and a half to build. It’s titled in Michigan as a 2017 assembled vehicle. Not very glamorous, but that’s what they call it. Factory Five is located in Wareham, Massachusetts. It was started by two brothers. Their vision was to build a Cobra replica based on a Mustangdonor. So, roughly 22, 23 years ago was when they started doing that. Their idea was that you bought a Mustang, you bought their kit and put the two together, and you ended up with the Cobra. It is changed a lot since then. The particular Mustangs, the Fox body Mustang that they use, are not around much anymore, and plus, to be honest, I think that the builds have gone much more upscale. Those cars in the beginning were very basic, had donor suspensions and donor engines, and they even took the gauges and cut them out and pasted them behind the dash. It was pretty rudimentary. This car has a Ford Coyote. It’s their 5.0-liter overhead cam. It’s the engine that’s actually in a Mustang GT. They were introduced in 2011. This is actually a 2015, so it’s what they call their Generation II Coyote. Ford sells them as a crate motor. They sell it into the performance market for people just like this. You definitely get frustrated. There are always challenges. One of the good parts of the Factory Five kit is they make it to where it will accept just about any combination of drivetrain, and brakes and suspension and all of that, which is a good thing, but it’s also a bad thing because based on your combination of parts, you are probably going have some challenges along the way. It’s absolutely a custom car. There are people that buy these kits and think it’s like a snap-together model kit, and it’s not. It’s absolutely a custom car that you make just the way you want. There are several pretty high points along the way when you build these. One of the big ones they call the first start, so you get it to the point where the engine is ready to start and that’s always a big deal, the fact that it comes alive. This particular car, because of the crate motor, it was totally no drama whatsoever. I had literally never driven a Factory Five Cobra Replica until my first one was finished. I didn’t know what to expect. I found the car to be actually quite easy to drive. In 2015, Factory Five released a 20 Special Edition because that was their 20th anniversary, so this is a 20th anniversary model. There were 20 of them. This is serial number three. They introduced a couple of new features. This has a brand new designed independent rear suspension that they introduced with this model. The main thing that I customized on this car is the interior. The 20th Anniversary came with leather seats, so I decided to do expand that theme and did all leather interior. So the dash, the center console, the door cards, everything are all from a single hide. Finished number three, got it done, and of course needed to think about another one. Being retired, I certainly have the time, and I absolutely enjoy the build. Thought about doing another Cobra Roadster, but Factory Five introduced a new version of the Daytona Coupe. It’s basically the same car under the skin, but it’s a coupe with a pointed nose, sawed off back, and they won the 1965 world championship with that car. So that’s what I’m working on right now. I’m about a year into the build. 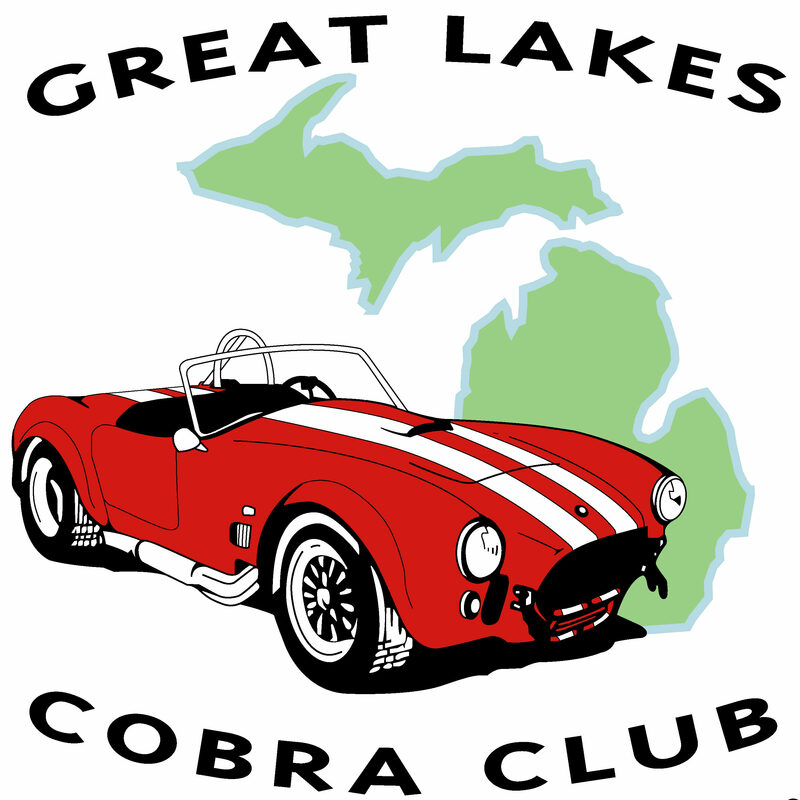 I found out there was a local club, Great Lakes Cobra Club. We have gotten to really be good friends with a number of people. We do all kinds of events our through the year and the social aspect we really didn’t expect. There’s also a lot of activity on the internet, various forums and blogs and so on. I’m very active in a couple of those, and I have been very interested to share my experience with other people and actually have had a number of build buddies that have kind of followed the path that I’ve taken. I’ve been able to share some of the things that I’ve learned and met a number of those people in person as well. So, that’s been something I also didn’t ever really expect.